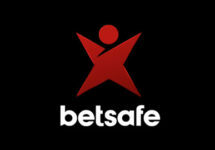 Betsafe – The Ultimate Leaderboard! Play for tech gadgets & bonuses! Win Apple gadgets and bonus cash! Join the Ultimate Leader Board Race at Betsafe to climb to the top and win an iPhone, iPad or up to €200 in bonus cash. Simply bet on any Sports event or wager on any slot in the casino to earn points and beat the stiff competition to place in the TOP20 and win one of the twenty prizes. Do you have what it takes for a 10-day marathon race? 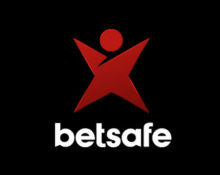 The join the latest tournament at Besafe and you could win an iPhone, an Apple watch, an iPad or up to €200 in bonus money. Earn points by wagering either or both, Sportsbook or Casino and race into the TOP20 by midnight on 15th July 2018 to be a winner. Cash and bonus bets will contribute to to the leader board which is updated daily before 18:00 GMT, Monday to Friday. Winners in 1st- 3rd positions will be contacted via on-site message within 72 hours after the race. No cash or bonus alternative will be offered. Bonus prizes will be added by 18:00 GMT on 16th July 2018. Wagering requirement is 6x on any Sportsbook bet with odds of 1/2 or higher, or 10x in Casino within 7 days. Betsafe bonus terms and conditions apply. Prizes: 1st – Apple iPhone X | 2nd – Apple Watch Series 3 | 3rd – Apple iPad | 4th – €200 bonus | 5th – €150 bonus | 6th – €130 bonus | 7th – €100 bonus | 8th & 9th – €75 bonus | 10th to 20th – €50 bonus. Launched in 2006, the casino is operated by BML Group Ltd. under MGA and UK licenses. The player has the choice of Casino, Sportsbook, Live Betting, Live Casino and Poker. The Casino section has a vast array of games from Netent, 1×2 Gaming, Barcrest, Bally, Big Time Gaming, Core Gaming, Fantasma, Foxium, Inspired Gaming, IGT, iSoftbet, Iron Dog Studios, JustForTheWin, Leander Games, Lightning Box, Microgaming, NextGen, NYX Interactive, Ongame, Pariplay, Play’n Go, Pragmatic Play, Push Gaming, Quickspin, Rabcat, Realistic Games, Red Tiger, Scientific Games, Stakelogic, Thunderkick, WMS and Yggdrasil. The Live Casino tables are powered by Evolution Gaming, Extreme Life Gaming and Netent Live.